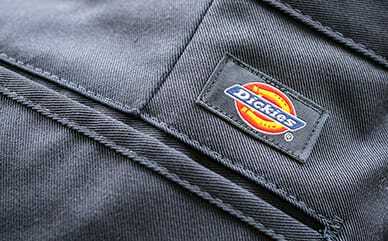 Summer is coming and you should make sure you’re ready with Dickies Girl 5 Pocket Cord Tie Cuff Shorts. Made with a standout cord-tie belt, these shorts have a cuffed hem to keep you looking stylish. The stone wash and 100% cotton design make these shorts the softest in your closet, while the five-pocket design lets you store your must-haves so they’ll always be easily accessible.